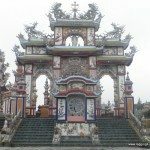 As we are fascinated with cemeteries, we have asked our blogger friends to share with us their finds around the world. This week we share their cemeteries in the USA. During a visit to New Orleans in the deep south of USA, a must see is one of their “above ground” cemeteries. We spent a few hours touring the somewhat spooky Lafayette Cemetery, the oldest of the seven cemeteries in New Orleans. Here the deceased are interred above ground, a situation forced on the area because of the city’s high water table and below sea-level elevation. On first sight it is a little macabre seeing these family-built tombs capable of interring as many as a dozen deceased, jutting above ground like small marble or granite houses. We took a guided tour through the cemetery and learnt a lot about the interment process and the famous people that were interred here. 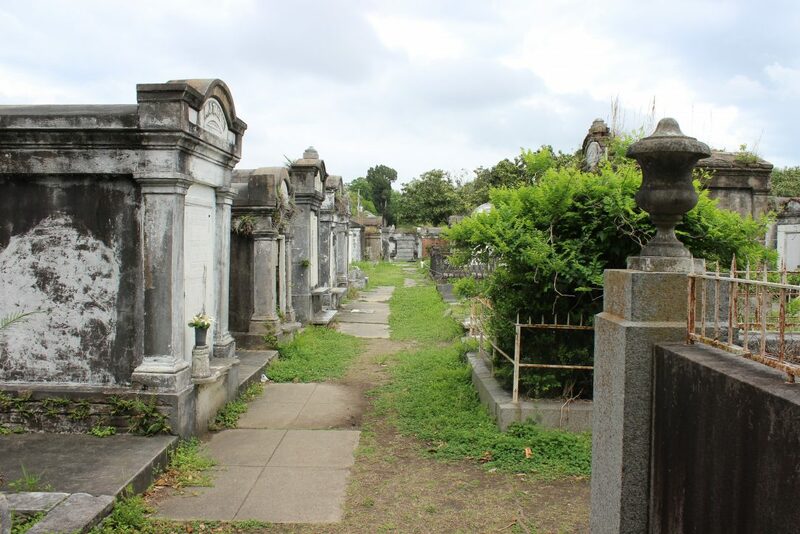 These cemeteries are just one of the many fascinating things about New Orleans, a place that believes in voodoo and magic! 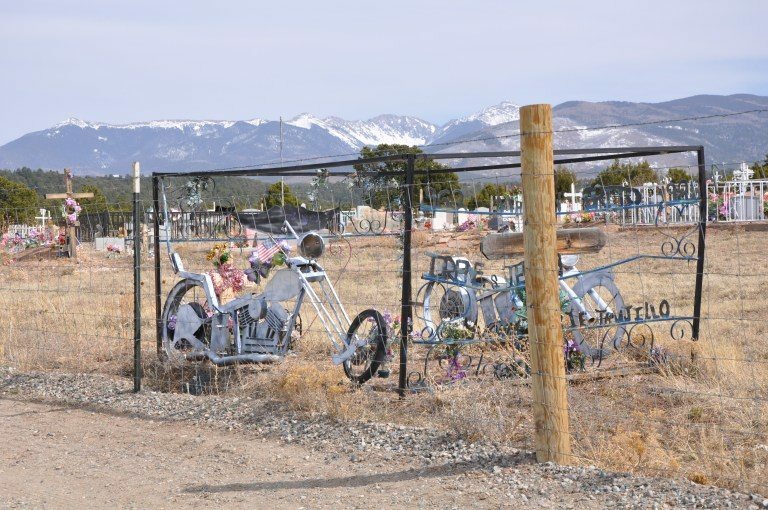 We love Llanos Cemetery in Truchas, New Mexico on the High Road to Taos Scenic Byway. Like many cemeteries in Northern New Mexico, it’s a colorful place. 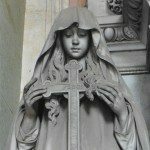 Graves are adorned with plastic flowers, religious statues, wooden crosses, plastic toys and even pinwheels. One of our favorite memorials is this ghost bike commemorating its deceased rider. It sits close to the fence and can be viewed from the parking lot if you don’t want to walk among the graves. A bonus: great views of the Truchas Peaks to the east. Father Junipero Serra, who established the San Carlos Borromeo de Carmelo mission in Carmel, California, in 1770, and indeed used it as his headquarters for managing the entire chain of California missions, is buried there at the foot of the altar. 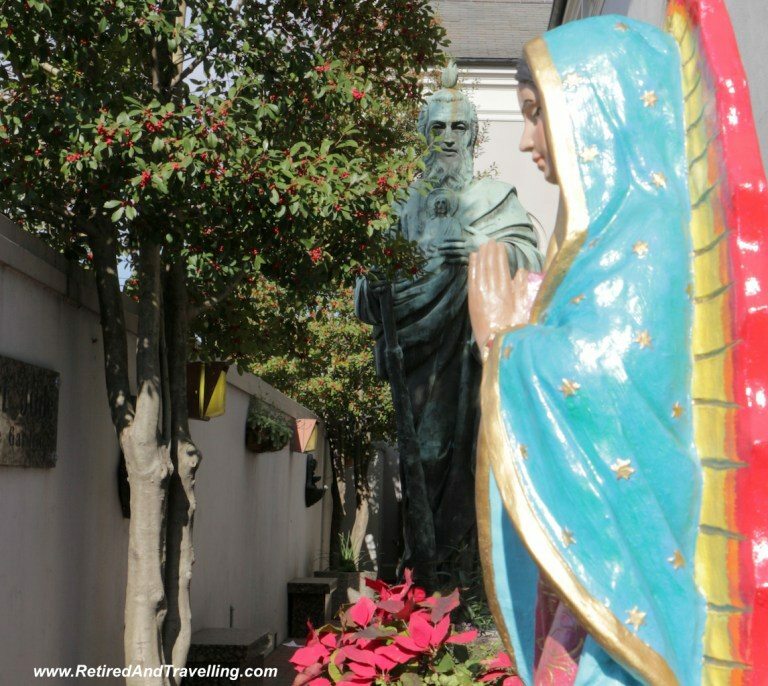 And close by, just off the quadrangle courtyard garden that features a peaceful fountain, is a cemetery where more than 3,000 mission Indians are buried. 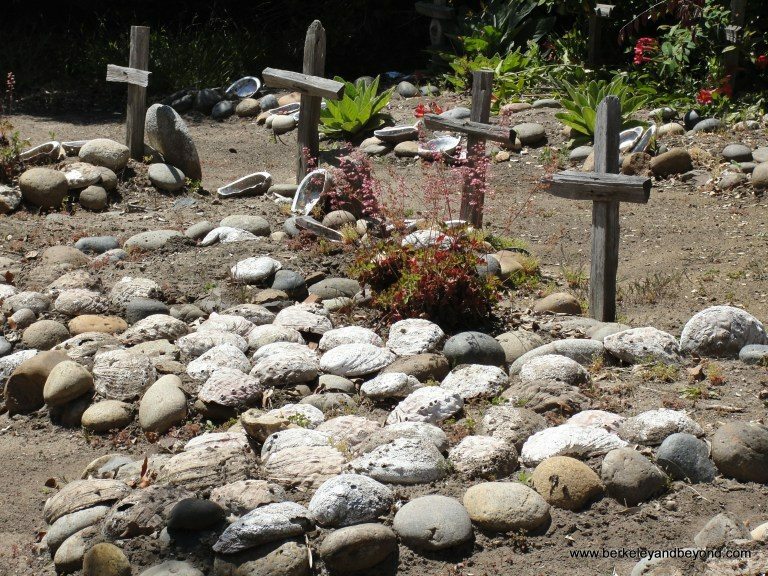 Though most graves are unmarked, some are decorated with abalone shells from this area. 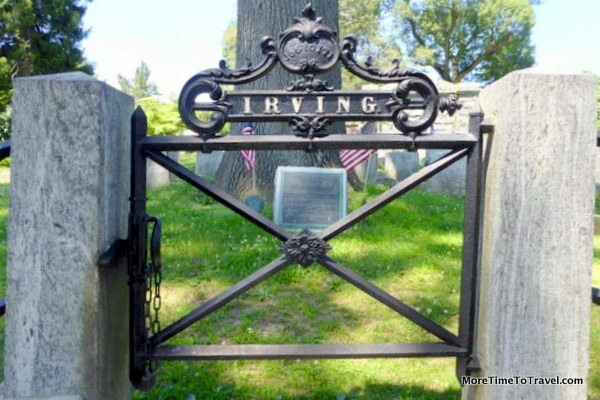 Many people visit Sleepy Hollow, New York (Westchester County) to track down the ghost of Washington Irving’s Headless Horseman, said to haunt the Old Dutch Cemetery (built circa 1685). However, If you don’t believe in ghosts, you can see the famous author’s actual tombstone in his family burial plot in adjacent Sleepy Hollow Cemetery. Tourists come from all over the world to pay their respects to the man who is said to have been the first American author to support himself professionally as a writer. Dating back to the late 1600s, the Reformed Dutch Church of Tappan Cemetery in Tappan, New York is a peaceful trip back in time, filled with the stories of the local area. Tappan is a small town located 12 miles north of New York City, in Rockland County. The community was settled by 16 families in 1686, and is home to a beautiful historic district and cemetery. Many of the headstones are in Dutch, others have grown difficult to read with time. Original settlers of Rockland County, early ministers of the Reformed Dutch Church of Tappan, and American Revolutionary War Soldiers can all be found buried here. More than a few Colonial soldiers killed nearby are buried in unmarked graves. 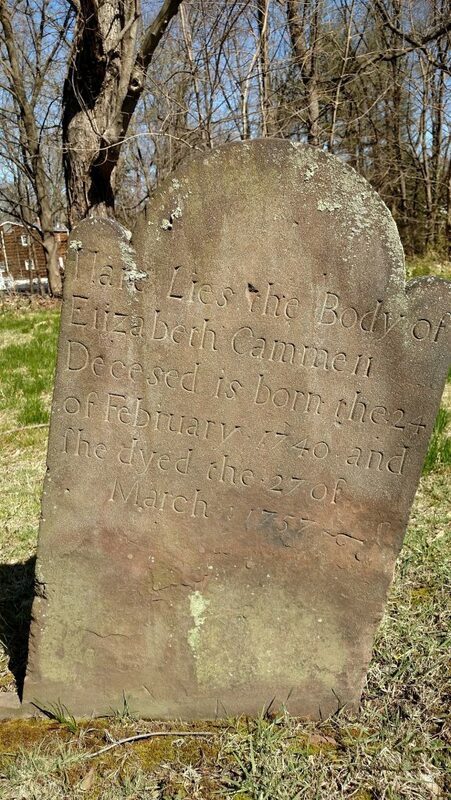 Researchers say the oldest grave here is dated 1724. Find more photos of the historic stones here. 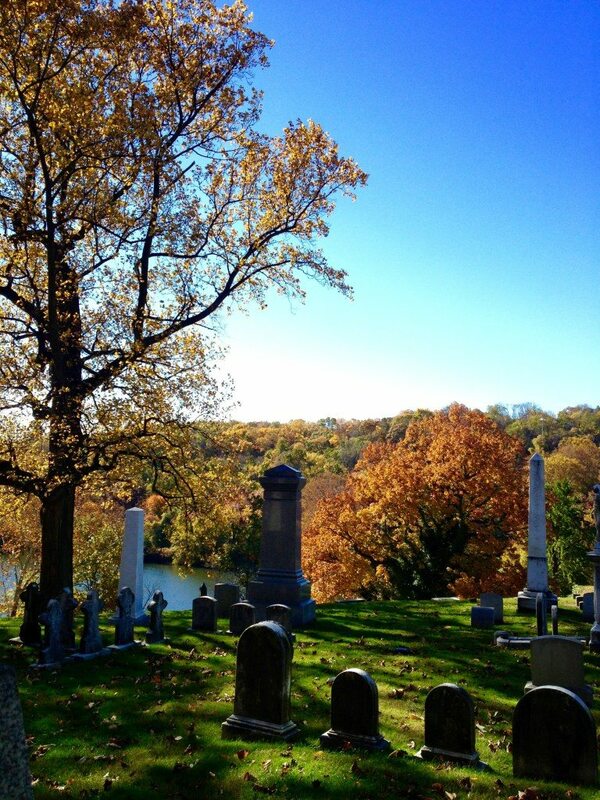 Laurel Hill Cemetery is perched on a Philadelphia hillside overlooking the Schuylkill River. From the 78-acre cemetery, the panoramic view of the winding river lined with trees helps you imagine what the area might have looked like to early settlers. Laurel Hill feels almost like a sculpture garden with a view. 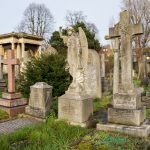 As you walk the garden paths, you see graves marked with stone angels balancing on columns, and mausoleums that look like tiny houses. 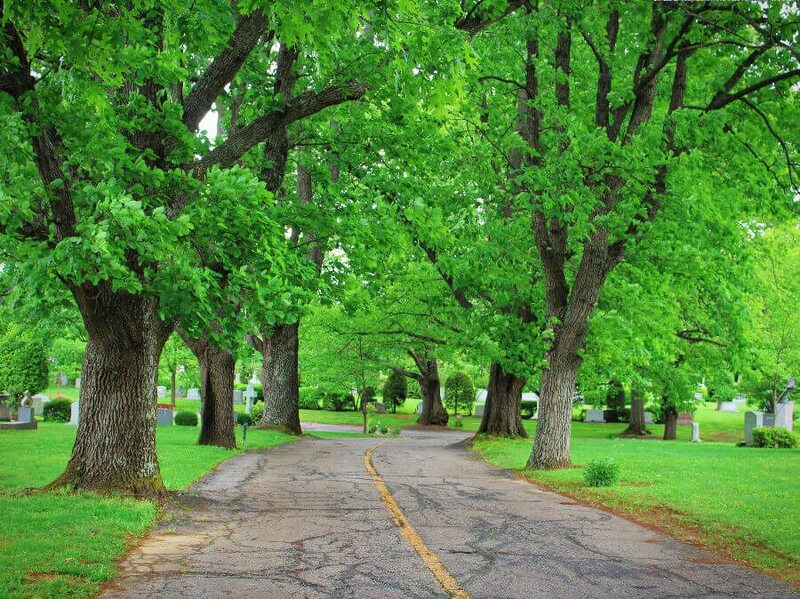 Although Laurel Hill commands respect, it is also a lively place, filled with walkers, photographers, and picnickers. Entrance is free. I was introduced to this cemetery during a walking tour of Charleston, SC. It is supposedly haunted (of course) by the ghost of Annabel Lee, the woman in Edgar Allan Poe’s famous poem. 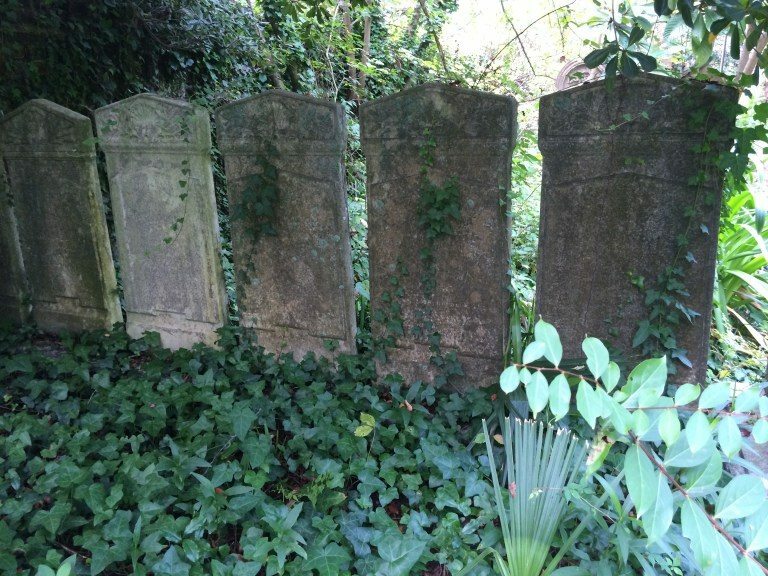 The cemetery is completely overgrown, with tombstones dating back 200+ years. The flowering trees and landscaping at Woodlawn Cemetery in the north Bronx (one of the boroughs of New York City) are so magnificent that the grounds are often called an oasis in the city. 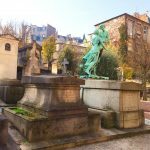 This sprawling 150-year-old urban cemetery houses 1300 mausoleums and 300,000 graves. 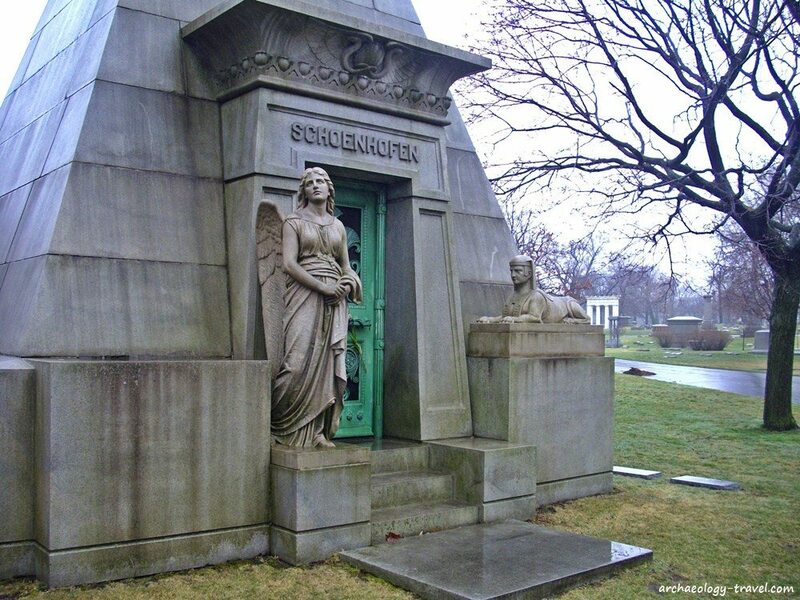 Lakeview Cemetery in Cleveland Ohio is one of the oldest cemeteries in the country founded in 1869. With over 285 acres of stunning gardens, vistas, and historic memorials, the cemetery is a tourist destination worth visiting when you are in Cleveland. Major attractions include the Garfield memorial, the Wade chapel completely with Tiffany details and the John D Rockerfeller monument. Arlington National Cemetery is the final resting place of over 320,000 men and women who honorably served the United States, from the Civil War to recent conflicts. It’s a special place, solemn and heart-breaking, but beautiful and inspiring too. Buses are available, but a long walk through the cemetery is the best way to visit and honor the dead. 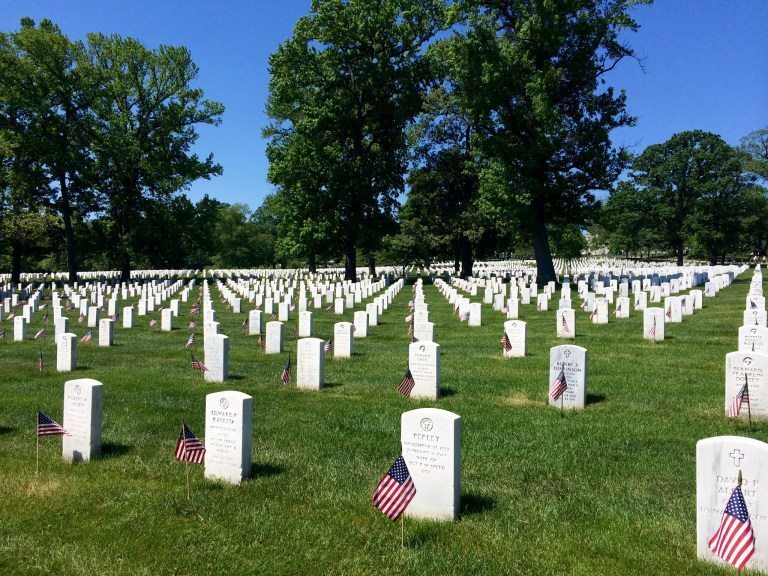 Historic stops include the Tomb of the Unknown, the John F. Kennedy gravesite, and Arlington House, where a vault holds 1,800 casualties of the first major battle of the U.S. Civil War. Most profound are the rows upon rows of the graves of fallen heroes. Architecture inspired by our different pasts can be found everywhere, and cemeteries usually provide good pickings. Ancient Egyptian architecture and iconography associated with death and the afterlife is commonly used to decorate memorials to the dead. When visiting Chicago I had heard there was a tomb in the shape of a pyramid. I couldn’t resist. 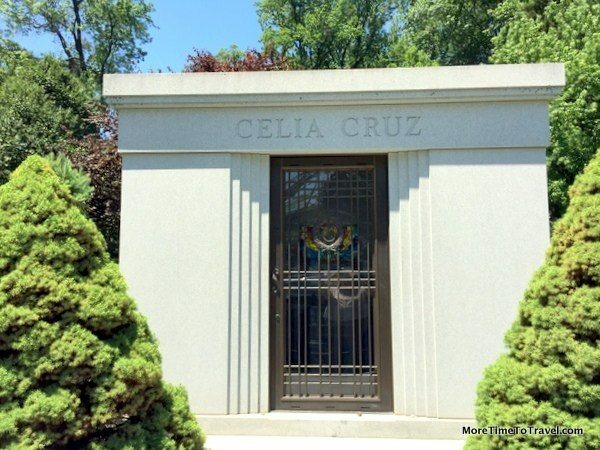 Graceland Cemetery was once the final resting place for Chicago’s rich and famous. People with money to build some of the most elaborate Neoclassical tombs. But my favourite was indeed the pyramid. The entrance has an angel and an ancient Egyptian sphinx – it seems this family were hedging their bets. 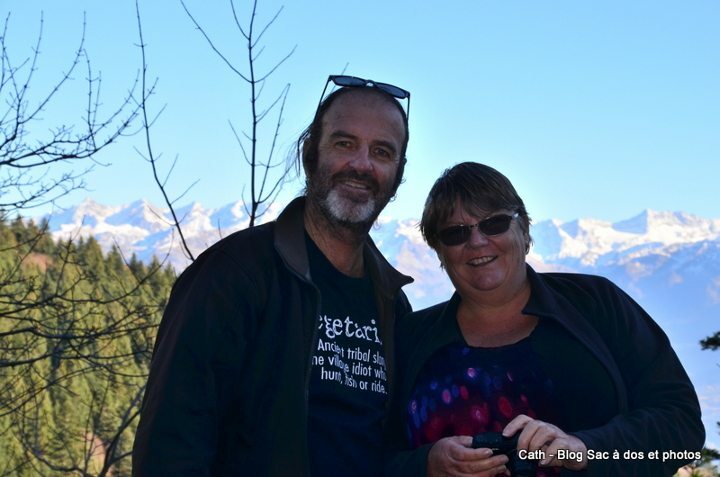 We wouldn’t have found the small out-of the-way cemetery in Como, Colorado if we hadn’t been chatting with a local. 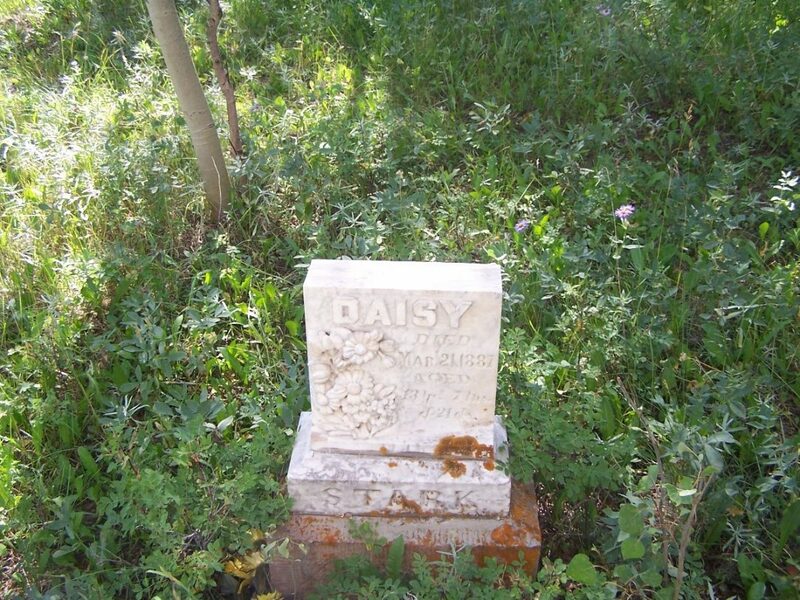 “You have to go to the cemetery and find Daisy Stark’s grave,” she told us. She refused to say more. Intrigued, we set off on our quest. We had to backtrack a bit to find the dirt road that led to the lushly overgrown burial ground. The graves were spread out in a grove of aspen trees. We searched a while before we found Daisy’s headstone, off to the right. It was worth it! We still wonder about this young girl who was dead at age 13. What was her story? We still don’t know why we were sent to search this out but glad we discovered this peaceful spot. Founded in 1847 on the highest natural elevation in Key West (which at about 18 feet, or about 5 meters, isn’t much), about 75,000 people are buried at Key West Cemetery. Since you probably don’t have all day to spend here, see this excellent map highlighting dozens of the more unique characters and their role in the area’s history. Other residents weren’t as notorious in life, but left a message for people to appreciate in their hereafter. 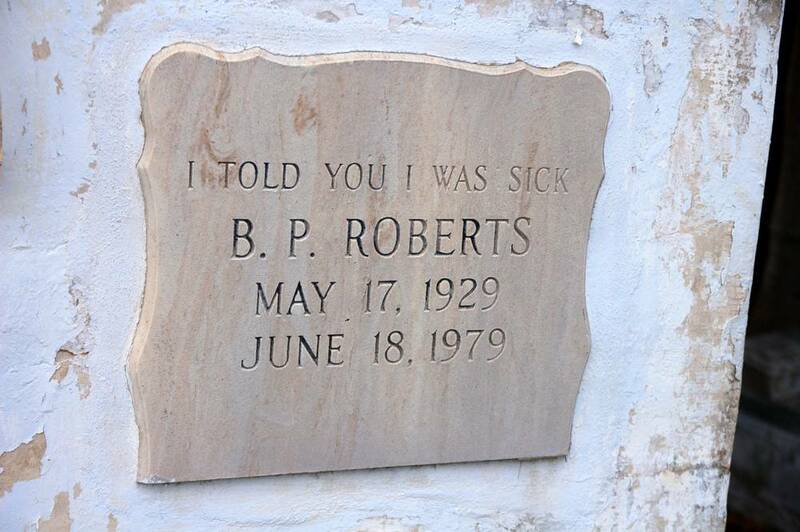 Two of the more famous ones include “I told you I was sick” (Pearl Roberts), and “Good Citizen for 65 of his 108 years” (Thomas Romer). The double entendres found elsewhere are worthy of exploring beyond the map: “His beautiful little spirit was a challenge to love” (Sunny Otto, a Yorkshire terrier), “I’m Just Resting My Eyes” (Gloria M. Russell), and ‘Asleep in Jeasus” [sic] (Robert H. Smith). The more you wander, the more you’ll come across. You can get more information at Friends of the Key West Cemetery Caution: Watch out for parking near the cemetery, as spots are intended for residents only. Your best bet is to park closer to Key West’s attractions, or in the private lot across from The Gardens hotel near Angela and Simonton, then approach the cemetery on foot. 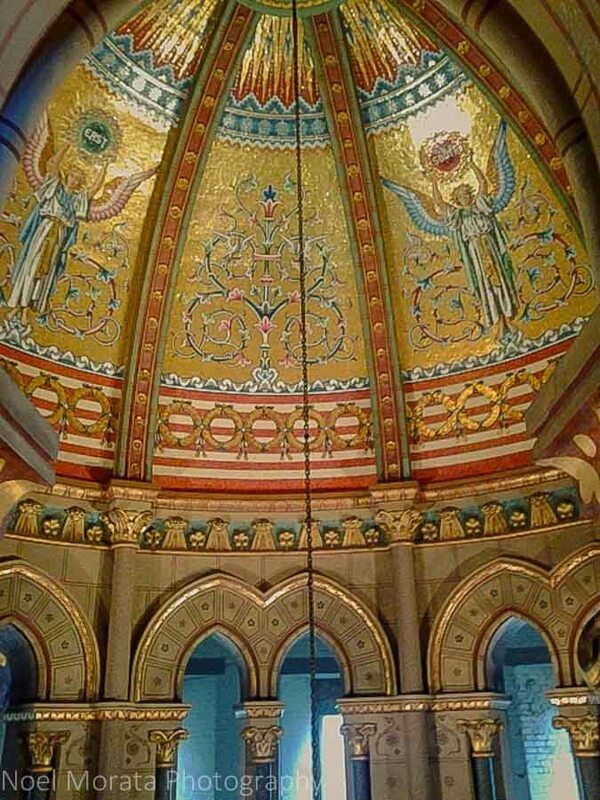 Cave Hill is a gorgeous and enormous – I mean really enormous – cemetery in my hometown of Louisville, Kentucky. How enormous is Cave Hill? Put it this way: you can spend 20 minutes driving through Louisville and still be driving the perimeter of Cave Hill. Inside Cave Hill is a cave (of course) and a lake. And, as with any good cemetery, a lot of stories and history. There are several famous Kentuckians buried in Cave Hill, such as Colonel Sanders (yes, the guy on KFC chicken buckets) and Muhammad Ali. 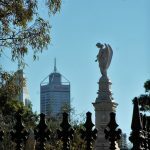 For those looking to immerse themselves in history, you have a few options for themed historic walking tours through Cave Hill. We often find ourselves walking or driving through Cave Hill just because it’s gorgeous and peaceful. 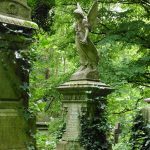 To learn more about tours in Cave Hill cemetery – especially around Halloween time, when lurking around cemeteries seems an appropriate thing to do – check out my local’s guide to visiting Louisville in the fall! 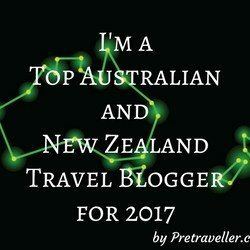 If you have more to add to our list please get in touch. What a wonderful collection of US cemeteries. They are all different and unique. Whoever said cemeteries were dead boring was wrong! Thanks for allowing me to participate in this collab post. Wow….what a fascinating post. I would be quite happy to have my final resting place in somewhere like Laurel Hill. It looked very peaceful.